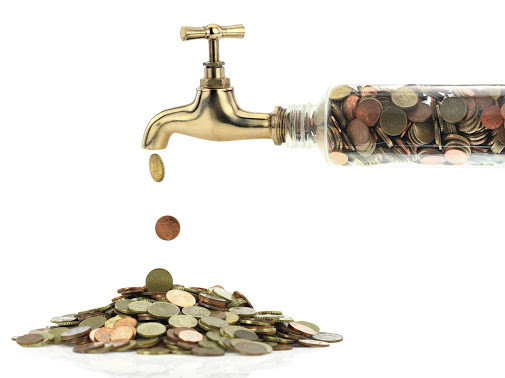 Dripping Faucets Cost You Money! Although the noise of a dripping faucet can seem as the worst of the problems, each drip should also remind you of how much money you’re wasting down your drain. The EPA estimates that up to 10 percent of all households experience a dripping faucet, accounting to more than 10,000 gallons of water wasted each year. This does not only cost your wallet but also the environment. Lets not forget that only 1% of the water on the surface is usable for human consumption. Couple that with recent drought cases such as in California, there has never been a time where water has been more valuable. So how bad can a leaky faucet be? All the wasted water could push sewage treatment facilities to capacity, resulting in untreated wastewater that could end up in waterways. Sometimes leaking faucets can be overlooked. Make a habit of regularly checking for leaky faucets in your kitchen, bathrooms and seldom used fixtures. One sure way of knowing there might be a leak in one of your faucets or toilet would be a water bill that has suddenly skyrocketed. Some leaking faucets can be easy DIY projects while some can be quite complicated. Don’t hesitate to call a professional to assist you with your a leaking faucet. Our highly trained plumbers can easily detect the cause of your leak and have your faucet working like new in no time! For immediate help with a leaky faucet send us an email or call (314) 487-4564.